You just cannot beat a home made mince pie at Christmas ... and pastry making is a basic skill that every child should have a go at. You could make whatever shape pastry top you like - just get creative and go for it! 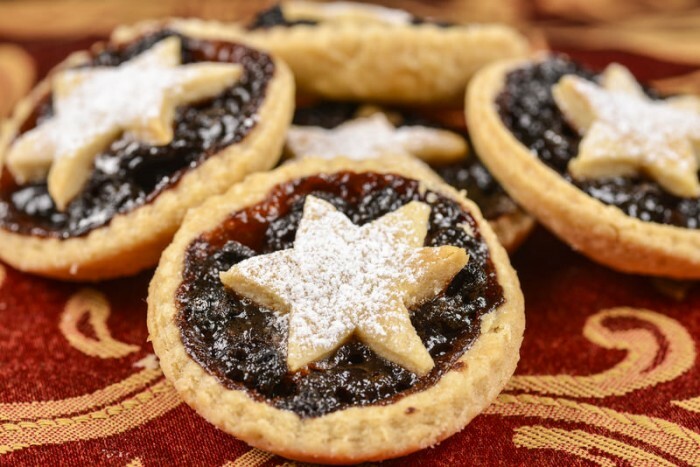 Follow a recipe; follow food safety & hygiene rules; tidy away; use a sieve; rub fat into flour; handle and roll pastry; cut out rolled pastry; use balance/digital scales; garnish and decorate. Weighing scales, mixing bowl, wooden spoon, sieve, shallow muffin/cupcake tin, rolling pin, cookie cutters, tablespoon, oven gloves. In a bowl, sift the flour and salt together. Add the butter and rub into the flour until it looks like breadcrumbs. Add the sugar, grated zest and orange juice and mix together until the dough comes together. Knead the dough into a ball and cover with cling film. Place the dough in the fridge for 30 minutes. When you’re ready to roll the dough, set the oven to 180°C/Gas Mark 4 and grease a shallow muffin/cupcake tin. Roll out the dough to about 2mm thickness and with a round cookie cutter cut the bases out of the dough and gently press them into the tin. 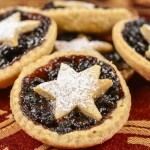 Place a tablespoon of mincemeat into each casing. Now cut out the tops of the mince pies and place on top of the filling. Bake for 30-35 minutes or until the pastry has browned. Cool in the tin before removing and dust with icing sugar. Pastry is basically a dough which can be sweet or savoury. All types of sweet pastry tend to be high in both fat and sugar and therefore they should be eaten less often and in small amounts. 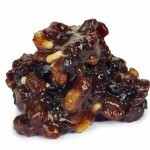 Mincemeat is a mixture of chopped dried fruit, peel, spices and either beef suet or vegetable shortening.